My in-laws took approximately 12 inches of water in their single story 3,200 square foot home. The home was gutted as soon as possible. Unfortunately, we only recently noticed, more than two weeks later, that we did not think to remove the vapor barrier strip located on the inside base of all exterior walls. (Just so we are on the same page, the vapor barrier I am referring to is a strip of plastic located between the studs and the plywood used to keep moisture from seeping in through the floor.) 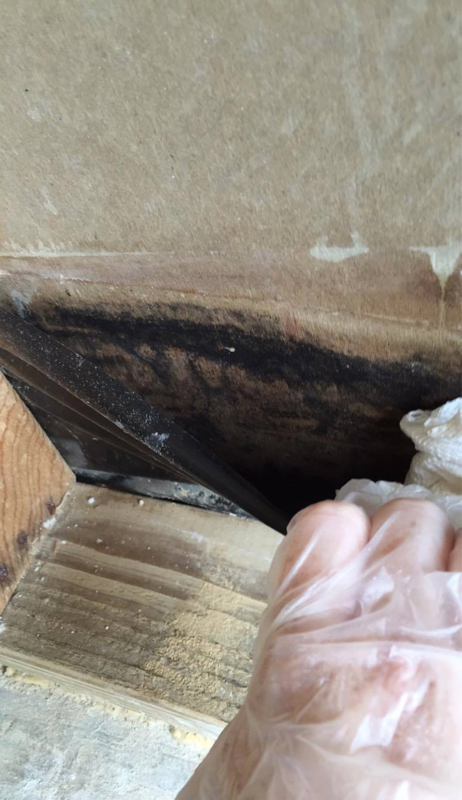 The presence of moisture between the vapor barrier and the plywood has allowed for mold growth. We contacted a certified and licensed mold remediation company who informed us that the removal of the vapor barrier was recommended if it was retaining moisture. So, we will be using a razor knife to cut the vapor barrier out between the studs. Will this ruin the seal of the vapor barrier, and can it be replaced? If it can be replaced, is it a “do it yourself job” or should we hire a contractor? Is it even 100% necessary to have the vapor barrier? The purpose of the plastic flashing is to prevent water infiltration from entering the interior of the wall cavity when the outside brick becomes saturated due to rain water. Brick and mortar are porous and allow water (rain and irrigation sprinklers) to enter behind the brick veneer and drain out of the bottom of the wall via weep holes. When the bottom of the brick veneer becomes saturated the water drains out slowly through the weep holes. It's not uncommon that the bottom 4 - 6 inches of the brick will be wet during this process and the black plastic flashing protects the lower portion of the exterior wall framing from water infiltration. However, if you are seeing the black plastic flashing from the inside (flashing between stud framing and exterior wall sheathing), then it was installed improperly during the framing stage of your home. This is a very common mistake and still occurs in brand new homes today. The correct location of the flashing is on the outside of the exterior wall sheathing underneath the exterior weather resistant barrier (house wrap). This is only correctable if the exterior bricks are removed. Lots of folks are promoting the removal of the plastic flashing from the inside to encourage drying of the exterior sheathing. The flashing is necessary and I'm of the opinion that it should not be removed because it will put the exterior wall at risk of moisture infiltration when the brick veneer becomes saturated. When the bottom of the wall cavity becomes saturated and stays moist then it can support the growth of mold and decay. ALL THAT being said, the bottom portion of the exterior wall sheathing must be able to dry. I suggest that you temporarily add a small object (wadded up piece of paper towel) between the black plastic flashing and the wall sheathing to create an air space to allow air movement and drying. The drying process of the lower segment will take a lot longer using this method, but the wall will not be subject to future water infiltration because the required flashing was removed. I highly suggest that you sanitize/disinfect; remediate the mold, and mechanically dry your home with dehumidifiers, supplemental electric heat, and air movers. Periodically measure the wood products with a moisture meter (pin type) until all wood (middle and surface readings) recordings are at or below 15% moisture content. The drying process is very slow and moisture measurements must be verified to be at or below 15% before replacing insulation and drywall. Utilizing supplemental ionization to sanitize the indoor air is also recommended to address concealed areas of wood framing. By the way, once the flashing is cut out then it can not be replaced with traditional flashing. 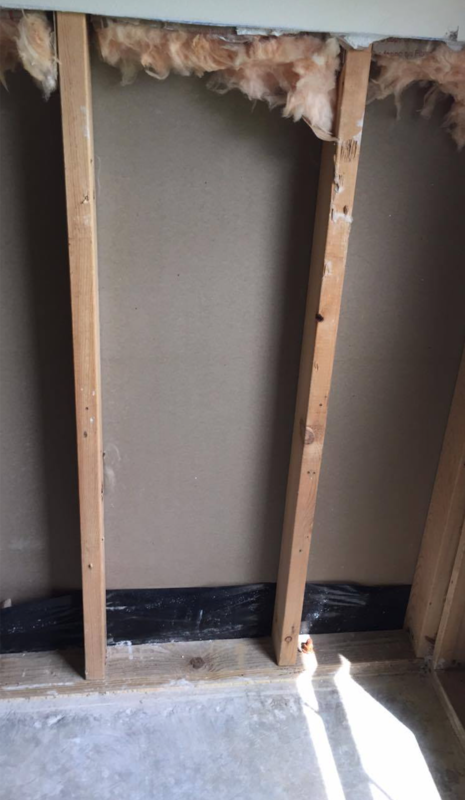 If the flashing is removed the only other viable option available to protect the bottom of the wall from water infiltration is installing 2" of closed cell spray foam into the wall cavity. I hope this helps and please share this information with all of your family and friends.